Trichloroethylene, or TCE, is a chlorinated industrial solvent. TCE is a colorless, volatile nonflammable liquid that the aircraft industry previously used but phased out in the 1970s because of its toxicity, according to the Central Coast Regional Water Quality Control Board. Regional water board officials say 64 wells were sampled in the Buckley Road area south of the airport. Of the 64, 12 had TCE levels that exceed the state limit of 5 micrograms per liter of water. State water officials said in a letter to San Luis Obispo County that TCE could have been used and disposed at the airport between 1938 and the 1970s. The regional water board is requiring the airport to sample soil gas and groundwater to determine the source of the pollution. Soil gas sampling measures the vapors in the soil. Airport officials must submit a work plan explaining how they will search the property for possible sources of groundwater contamination. The work plan is due April 15. County officials have already conducted an evaluation of the airport property. They preliminarily concluded the airport is not the source of the groundwater pollution because they could find no recording indicating TCE was ever used at the facility. State officials said they are not convinced, and they want the county to investigate further. Water board officials also say the southern positions of the airport property are uphill from the contaminated wells, and the pollutants could have flown down to the wells. I remember when a private jet clipped the Eucalyptus trees on Madonna Road and crashed in Dalidio’s field next to the post office. I also remember when s private plan flew into the path of a Wings West commercial carrier causing a mid air collision which came down on LOVR. Do I really need to explain to you that a commercial jet, even a puddle jumper flying into SLO, has the potential for far greater loss of life than a kite-on-wings Cessna? “Trichlor” was in use around the SLO Airport until at least the early 1990’s by more than one private business. It was (and is) commonly used in vapor de-greasers. You need to dig deeper. Just curious if anyone tested or checked with the Industrial businesses across from the airport that are closer to the wells? T shirt Printing, Old Eyeglass manufacturer with large water catch pond next to it that is now shopatron, Multiple body shops and machine shops. But i guess the Airport is an easy money target for the owners of those 12 wells. Im sure the county will settle and everyone will move on. That large building with the fire-control pond next to it was Strasbaugh. They made precision grinding and lapping equipment largely for the semiconductor industry and not eyeglasses. Historically, optical components such as mirrors and beamsplitters have been cleaned by hand, using lint-free optical wipes and reagent-grade acetone or another liquid solvent such as methanol, ethanol, 97 percent pure isopropyl alcohol, methyl ethyl ketone (MEK) or methylene chloride (MEC). Some inorganic acids such as trichloroethylene (TCE), hydrofluoric acid (HF) and hydrochloric acid (HCl) may be used on uncoated silicon wafers, and nitric acid may be used on germanium substrates. Sorry to break it to you but I know businesses in the area that have not been able to drink their well water because of contamination for many years and before Strausbaugh was even built, but don’t leave out the bus maintenance shop that used to be in the area, not sure if it was city of county, but could they have used TCE? No please enlighten me, Stausbaugh was built in 1992. I would love to know what businesses have not been able to drink their well water for that long. As a resident in the effected area since 1978 I was not aware of any issues until the last few years when the water started smelling different. I am not blaming one business or entity only highlighting the fact that there is a possible connection between several industrial businesses across from the airport. Unfortunately it is very easy for the attorney representing the homeowners to blame the county get a settlement take his/her 50% commission and move on without actually solving the problem. Lets test all the surrounding septic systems for TCE and figure it out. That may explain the third ear on your head. Here it starts. Every conceivable reason, excuse, conspiracy, or fabricated BS will be generated in an attempt to close down the airport. For those of you who have lived here long enough, the same tactics were used to eventually shut down the slaughterhouse in Paso Robles 30+ years ago. Of course it was there long before all the residential development…but once it got established, then came ll the various complaints and subsequent closure. Really??? That airport has been there longer than those houses!! Build new houses and complain about noise etc…. Put the late down and look at it logically! The new developments etc close to airport are the complainers.. You know what you are buying when you buy! Also the pollution is all over from before regulations… Look at any industrial area from that period and you will most likely find the same pollution (different chemicals)! Putting all those houses and businesses along 227 is a fait accompli. The City and County were stupid to allow it, but they did. There is little room for the SLO Airport to expand and if expansion came up it would meet opposition from the Country Club wine and cheese snobs that live out that way. 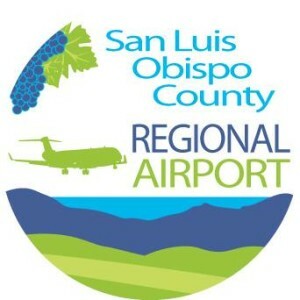 I would rather see a thriving Airport on the Central Coast with destinations to the cities of the West Coast and Hawaii then see the SLO and SM airports competing against each other and limping along. The Santa Maria Airport can be expanded in the future and its location is convenient for the entire Central Coast. If this chemical has not been used since the 70’s and they are only now catching the high level in the wells it makes me wonder how often do they monitor the wells for anything? Local Control hard at work, next local $$ to change hands. Was it Self Help Counties or was it Help Your Self Counties? The SLO airport is far too close to town and residential neighborhoods. The SLO Airport should turn into a general aviation airport. Develop the Santa Maria Airport as the Central Coast airport for passenger flights. Santa Maria is well suited to this role because of its geographic location. The Santa Maria airport is also not right next to a city like the SLO Airport. Yeah, that’s going to happen. Follow the money KB!